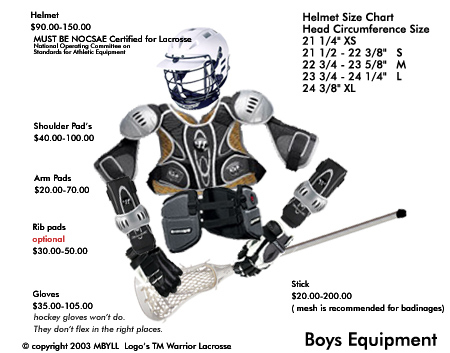 Helmet with Face Shield - both CSA approved. Gloves - Lacrosse gloves are recommended. Hockey gloves are acceptable however they don't flex in the right places.